Our Fleet Captains are always willing to talk about their boats so if you are interested in a particular class or want advice on boat purchase, then these are the people to speak to. 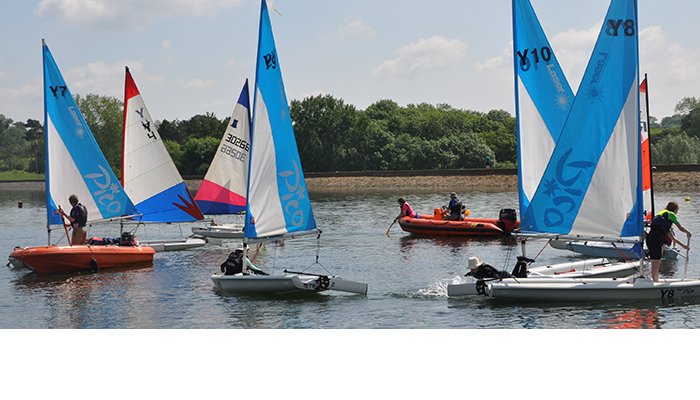 We run free training courses for our boat classes throughout the year and would encourage sailors of all abilities to attend as they are very informal and are based around the requirements of the sailors that attend. If you are thinking of getting into racing then they are an ideal way of meeting the rest of your class and getting plenty of advice. * The Sprint 15 (formerly known as Dart 15) is the one class of catamaran of which a limit of five in total are permitted to be on the register at any time. * Permitted craft will not exceed 17 feet in length. * Unregistered craft are not permitted on the water or on the premises. 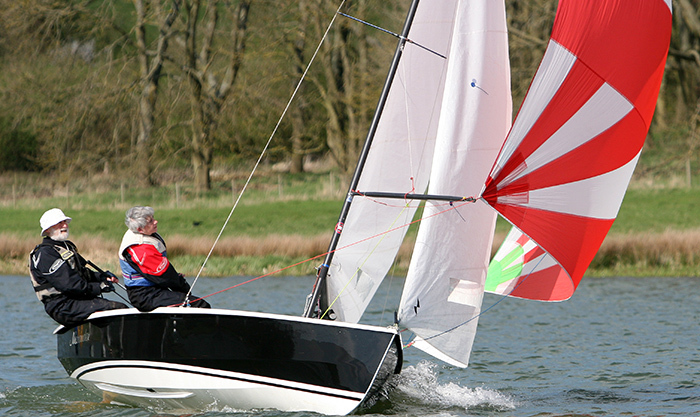 A single-handed boat with technical appeal, a very popular boat at Hollowell. The Solo is a classic amongst one design single-handers. It was designed in 1955 by Jack Holt who also designed the Enterprise and Mirror dinghies. The hull is 3.78 metres long and is hard chine (flat sections with pointy corners) originally designed for home building in marine ply. Nowadays they are usually built from an epoxy foam sandwich which is light, rugged and long lasting. Some 10 year old boats are still at the top of the results tables. You will see from the pictures that there is one fully battened sail so there is a minimum of ropes to pull. The rig is however fully adjustable for wind strength and weight of the helm and responds to tuning. It is a rewarding racing boat. There is a strong class association (the NSCA) who organise national and international events plus travellers series around the country. They also provide useful forums, advertising, training etc. The NSCA have been successful in keeping the class up to date with new technology without becoming prohibitively expensive. Over 90 new boats were registered last year which is an indication of just how thriving the class is. The second hand market is equally strong. Our largest fleet at Hollowell. 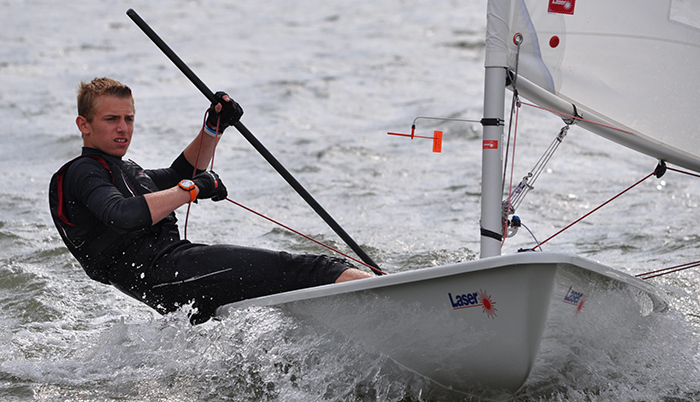 Lasers are fast and exhilarating and offer close competitive racing. The Asymmetric class is one of the most recent to be introduced at Hollowell and has quickly expanded in numbers. Asymmetric sailing is fun and exciting in a moderate breeze, perhaps not ideal for the fainthearted, but for those looking for an adrenaline rush the gennaker provides that aplenty in a breeze. Asymmetric spinnakers, cruising chutes and gennekers are basically one and the same. They are similar to symmetrical spinnakers in that they are light, colourful sails generally flown when the wind is on or aft of the beam, but that is where the similarity ends. The sail shape resembles a baggy loose luffed genoa and has a permanent luff, tack and clew. If a pole is required it is usually a small one in the form of a bowsprit. So what boats are included in the Symmetric Double Handers Fleet? Well first of all there are all the double handed boats that are designed for or can fly a symmetrical spinnaker. A symmetrical spinnaker is one of those pretty sails that looks a bit like a balloon and if folded down the middle will make two matching mirror image halves – hence symmetrical. Clear? Thought not. Well this might help; also included in the Symmetrical Fleet are all the double handed boats which have never been designed to fly a spinnaker. So you can be in the Symmetrical Fleet because your boat has a spinnaker of the complicated kind, or because it never had one at all. We’re really getting somewhere now, I can tell. 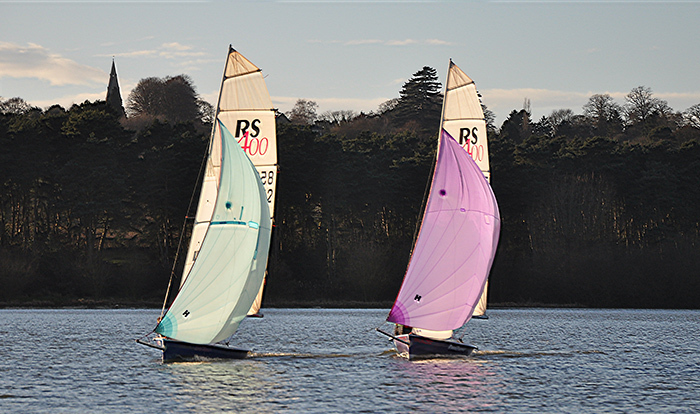 So what do we have currently the single-hander fleet is now made up of : 1 Streaker, 1 Halo, 3 Phantoms, 4 Supernovas, and 4 Splashes, 2 RS Areros, 3 Dart15s, 1 Sprint15 and 2 Optimists, quite an interesting bunch of dinghies. Are you part of the single-handed fleet? Until now the RS Vareo and the RS100 have been in the single-hander fleet, but it has been noted that as they have one of those big baggy sails that is hung out the front IF the wind is in the perfect direction and the ideal strength, this makes them asymmetric. As the single-hander fleet is a bit of a mixed bag we don't have an open meeting or any specific racing, but if any of you can think of anything appropriate then please speak up. Don't forget that I am your representative at committee meetings and such like, but I can't report anything to them if you don't talk to me. Appeals to the out and out racers and fun sailors of all ages. Boards of various sizes are available for use by Club members. 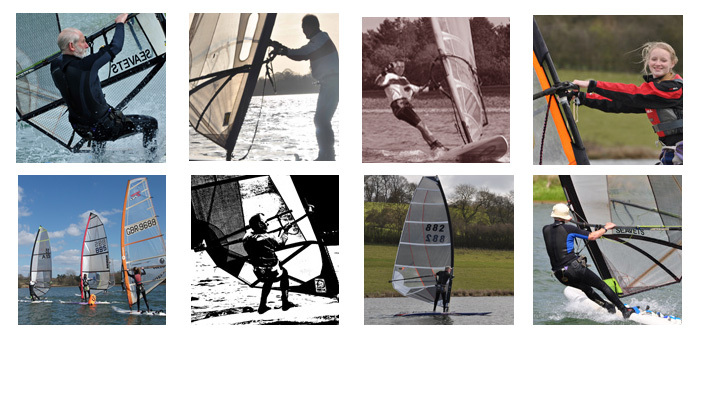 The sport of windsurfing encompasses people of all ages and from all walks of life. With the right instruction, the right equipment and regular time on the water, your windsurfing will progress quickly. If you are a beginner or just wanting to 'have a go' you will find Hollowell will suit your needs. 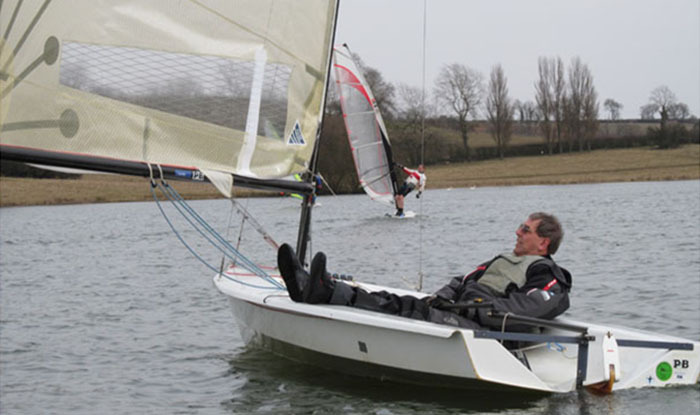 A recurring favourite at the club with juniors of all abilities enjoying sailing this more powerful boat. Its indestructibility and durability makes it ideal for fun sailing but the class also offers highly competitive racing for more experienced sailors. The current suggested weight guideline for Toppers with the larger 5.3m sail, is between 47 and 63kg, but again there are many sailors either side of this guideline enjoying sailing their Topper and competing at a high standard. The introduction of the smaller 4.2m sail has brought younger and lighter sailors into the Topper. 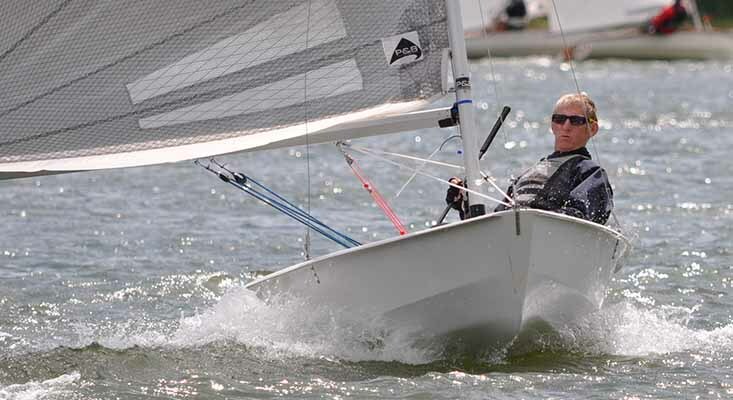 There is now have a dedicated National Championship for Topper 4.2 sailors, a World Championship, and a Summer Championship which runs at the same time as the 5.3 Nationals. The Hollowell Team have always been well represented at these events. The Club owns fully kitted out Toppers and there are many privately owned boats at the club. If you are thinking of buying a Topper look HERE. 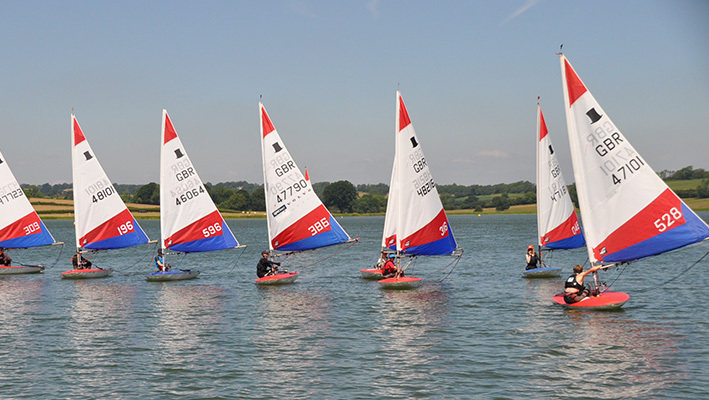 There are lots of opportunities for juniors to sail in events in the Midlands: the fixture list (above) summarises these including Optimist and Topper events and the P&B series that is for any junior class boat. Two of the events are at Hollowell so it would be great to get a good turn out from Hollowell sailors for these events. Most of these events are less than an hour away from Hollowell so well within reach for a day trip. If it’s anyone’s first time sailing away from the club and they want some advice or want to borrow a boat they can contact Graham Smith (graham.smith@gmx.co.uk), Felix McMullan (our new Hollowell Sailing Club Youth Leader) or myself (Ivor McDonnell rachelivor@outlook.com, 0116 2402087). Most of the coaches know all about these events so they should also be able to help answer any questions.